In many ways this journey of discovery about diet and health is a story of the great courage of the leading edge practitioners who are willing to try new ideas because of results rather than simply get along, go along, with the establishment in their field because of fear. It also requires courage and determination to take responsibility for one’s own health and life and not to simply rely upon “expert opinion”. Turns out that “expert opinion” is the same as any other opinion, and is frequently wrong. It’s your life … you have to take responsibility for it … the path the world wants you to take is often about what’s good for them and not what’s good for you. As mentioned previously, this post was going to be about Iodine and it’s importance but has morphed into a story of courage to try new ideas in the face of ridicule and denial. This is my continuing summary of what I have found about diet and health over the last 15 months as I searched for the Holy Grail of a cure for my Type II Diabetes and High Blood Pressure. This is part four of my summary, and I am trying to post all this consecutively so that we can find it just by following the “Previous Posts” link at the bottom of this post. There might end up being the odd post out of sequence but mostly they are all easy to find by following the “Previous Posts” links at the end. As previously mentioned, I am posting information and links to authors of note and to books and information sources I have found helpful in my quest. Your mileage may vary but my personal over all goal is to stay healthy, happy, and maybe get wise if I live long enough. Peace of mind in a healthy body, the synergy is unbeatable, and I believe it is all related to our diet. I am currently personally using all the things I write about and have found them helpful in my search for a healthy lifestyle. That said, none of what I write is intended as “medical advice”, I am not a doctor nor am I any kind of medical professional. I am just a regular Joe who has made a habit of questioning “authority” most of my life, often quietly, and often while preparing for the inevitable outcomes and disasters when we are tasked to follow through with some ill conceived plan by some superior or authority who (charitably) lacks imagination. “Mentioned in dispatches” often happens not because of anything particularly heroic but rather because it was obvious where the situation was going and one just prepared in depth for the inevitable disaster. Best possible outcome looks pretty good after some egotistical idiot’s plan blows up in his or her face. My daughter says I am an ENTJ according to Myers Briggs which probably explains my personality and my tendency to be skeptical of authority and self reliant. Whatever, I just don’t believe everything “authorities” tell me is so, and the older I get the less I believe. I guess you might say, personality wise, I am “from Missouri” – “Show Me”. These posts on diet and health are just my reflection on my own personal experiences, what I use, the effects I have experienced, and as mentioned many times, your mileage may vary. I have mentioned previously that my family doctor is on board and exercises oversight on my lifestyle and nutrient choices. So far he has not disagreed with anything I am doing and so far everything seems to be working out for the better. I urge anyone who is going down the path of trying this stuff out to get their doctor of choice on board with their program of health and nutrition. This journey has been mostly about nutrition and eating and when to eat and what to eat. The results are real, but there are a lot of folks in the medical establishment who are simply knee-jerk anti diet as a fix for all the usual diseases which they prefer to treat with medications and then treat the complications from the meds with more meds and while you are at it eat lots of carbs as per the Canada Food Guide. If you just call your diet meat and veggies all of a sudden its fine. I eat meat and veggies…doc says good! I eat Keto, doc says bad. Keto and fasting have become a trigger word that forces many to defend or pick a side. This way of looking at things creates a lot of cognitive dissonance in the head of both patents and old school doctors, so much so that doctors who deviate from the medical association guidelines and government guidelines are often pilloried and treated like pariahs or quacks. It takes a tremendous amount of courage for certified medical professionals and practitioners to speak truth to power. Often the truth will not be accepted until the generation believing the current paradigm dies out and are replaced with people who don’t have their professional ego entrenched in the current paradigm. We need to re-thread our heads about diet and food. So first I have a link to a 58 minute podcast from the 2 Keto Dudes. While in Perth, Australia, Richard Morris talked to Martin Cebis about the strategic dissonance in the health care system brought on by scientific findings about fat, sugar, and Diabetes. Martin Cebis is an electronic engineer by training, with an MBA and lectures at the University of Western Australia on entrepreneurship and innovation. He is also a type 2 diabetic who reverse engineered his disease, discovered a dietary treatment using a low carbohydrate diet. The author is Lynne Farrow. Her book is titled “The Iodine Crisis, What You Don’t Know About Iodine Can Wreck Your Life”. The blurb from “Goodreads is: Thanks to environmental pollutants Iodine deficiency has become a worldwide epidemic. Everybody knows pollutants cause cancer. What they don’t know is that these pollutants cause a deficiency that can make us sick, fat and stupid. Iodized salt–supposedly a solution to iodine deficiency– is actually a nutritional scam which provides a false sense of security. The Iodine Crisis explains how we became so deficient, then shows the time-tested solution to reversing many conditions. Lynne Farrow reveals how she and thousands of other patient-activists changed their lives by researching and using iodine. Frequently Asked Questions cover everything you need to know about iodine. The proof of iodine’s benefit is demonstrated by the dramatic case studies shared in this book. So I started taking Nascent Iodine, 1 drop per day. I found further information at True Hope . And the True Hope web site is at https://www.truehope.com/. The information on this site has been a life saver for our family. Here is a short excerpt from the story of Anthony Stephan the founder of True Hope …: Ten children were left motherless the cold January day that Debbie took her own life. She had been suffering the pains of Bipolar Affective Disorder (BAD) for years and finally succumbed to the dark and irrational side of the disease. Somehow, out of the sheer agony and crushing pain of her loss came a determination for Anthony her husband. He began a prayerful and desperate search to find hope and health for their children who were also ravaged by the disease. At the time of her death, two of Debbie’s children had also been diagnosed with BAD. As a desperate father, and after exhausting all known medical routes, Anthony sought the help of a friend. Together these two men established a program of nutritional supplementation that would eventually lead to the recovery of Anthony’s children and the formation of The Synergy Group of Canada Inc. – a non medical research group dedicated to researching and overcoming the disorders of the central nervous system. Debbie’s tragic death had initiated that series of events which would change the grim picture of mental illness forever. Anthony Stephan, in reflecting on the marvelous recovery of his children, said; “Truly God has answered my pleadings and intense prayers with a great blessing.” Go Read The Rest! Well, until next time, I am now looking into diet and its connection to cancer according to some recent research by Dr. Thomas N Seyfried. Should be interesting. So, fasting, … how are things going here at the end of April 2018, 15 months into this new adventure? Gentle reader may recall that, in January 2017, I accidentally discovered fasting as a possible control for Type II Diabetes. My health goal at the time was to find some way to control my diabetes which had my blood sugars running around 18 while taking 5 Metformin and 1 gliclozide per day. My options were — not many outside of beginning treatment with Insulin, so not a happy future going down the road. I am currently resting at a plateau with my weight holding steady at approximately 238 to 245 pounds. Up and down day by day. So obviously eating enough to maintain my current metabolism and not spending a lot of time in Ketosis. As mentioned last August, that is a long way (on the good side of the scale) from my start point 268 pounds and a long way from my all time high of 280 pounds but is also a long way from my arbitrary personal weight target of 200 pounds. I say arbitrary because while I have some doubts about ever getting back to my combat weight of 180 pounds where I was in my early 20’s, I don’t think 200 pounds is unreasonable for a 65 year old, 6 foot male of medium build in reasonable physical shape. So diet? The biggest thing is to cut out most carbs and all grains especially wheat, soy, canola and corn, and any products made from them. Avoid most processed foods, eat real food, not stuff that has been turned into something else in a chemical factory. This is basically the Keto diet as explained in other posts I have made mentioned below. I am currently treating every day the same, I start eating lightly, between 2:00 PM and 3:00 PM most days, breaking my fast with a cup of bone broth and perhaps a couple of ounces of cheese or a smokie, or both. Also drinking coffee and tea whenever I feel like it and making sure to drink a couple of liters of water a day as well. For supper, usually around 6:00 PM I have a few ounces of chicken or fish, pork, or sometimes beef or liver, a half or 2 thirds of an avocado, a cup or so of some crunchy salad, and our favorite side dish of fermented chopped cabbage with sour cream dressing to help keep a healthy gut bacteria population. With black decaf coffee or green tea after supper I have a few fresh Walnuts or Macadamia nuts and by 8:00 PM we are winding down and ready for bed. Sleep, wake, work, eat, relax, sleep, repeat. Nothing very ambitious. I must admit that I just don’t feel like eating anything near as much as I once ate “normally”. I am probably eating less than half the calories I was eating 15 months ago and not missing anything. I believe that my goal has been met and all the blood tests confirm that I continue to be “cured” of my Type II Diabetes and High Blood Pressure. All values are normal, and I am still med free over a year after stopping taking all Diabetes meds and Blood Pressure meds. So how did my tests turn out? First, blood sugars are now routinely testing and holding at 5.0 to 6.5 international. Dawn values are often in the 7’s but drop rapidly over the first two or three hours of the day. The conversion factor is 18 for those who want to see that in American units , eg. 7×18=126, at least that is how I think it converts, and I am told that that is normal. My lab results show Blood Insulin level as 40.8 pmo/L and the reference range is <120.0 pmo/L. That is excellent. Negative urine glucose, urine keytones +1 and the lab notes that as high but it is what I am targeting to be in moderate keytosis. Protein, nitrite, and leukocytes all negative, hemoglobin A1C was 6.3 (should be less than 7.0) and Glucose fasting 6.4 which is slightly high but consistent with what I have been getting for dawn values with my meter daily. So everything is looking very good and trending in the right direction. I am still trying to line up some contacts regarding grass fed beef, pork, free range poultry and dairy and where to get it around here. I have “officially” officially declared my Type II diabetes “cured” for sure now. Resting blood pressure is around 110/60 these days and weight is 240 Lbs. (or about 105 Kg) and I truly feel great. Anyway, Joe’s Fasting Chronicles … (part 8?). My family doctor continues to be supportive of my intermittent fasting regime and he continues doing it himself and has continued using the method to treat some of his diabetic patents for their Type II Diabetes. I have been guided in my quest by the work of Dr. Jason Fung, a Toronto Nephrologist. I still feel that were you to choose only one guide, my personal favorites are “The Complete Guide to Fasting”, everything you need to start using fasting to improve your health. Topics include what to expect during fasting, how to manage hunger, different fasting regimens, and how to break a fast. 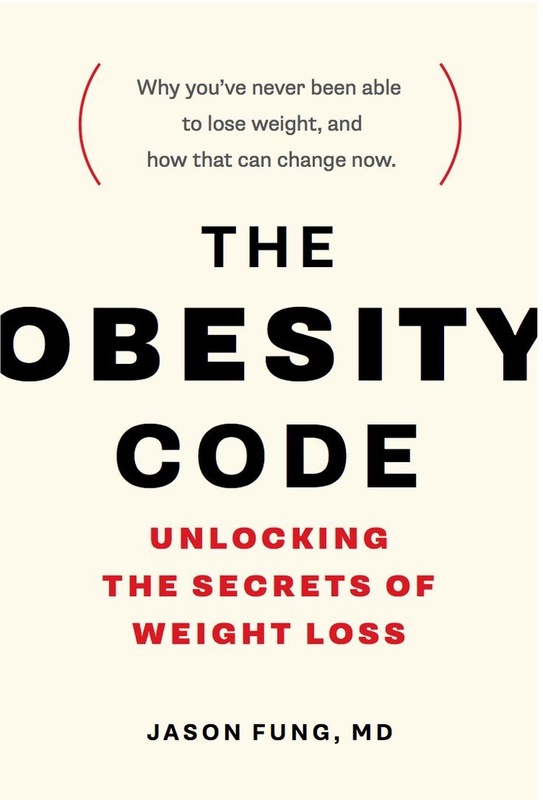 The next favorite is “The Obesity Code”, an in-depth discussion of the underlying causes of obesity, including the problems of focusing on calories and the hormonal basis of obesity. An introduction to simple strategies for weight loss including low carbohydrate diets and intermittent fasting. And the third and final book is “The Diabetes Code” . In this paradigm-shifting book, Dr. Fung reveals that type 2 diabetes is reversible. Writing with clear, persuasive language, he explains why conventional treatments that rely on insulin or other blood-glucose-lowering drugs can actually exacerbate the problem, leading to significant weight gain and even heart disease. The only way to treat type 2 diabetes effectively, he argues, is proper dieting and intermittent fasting—not medication. In The Diabetes Code, Dr. Fung proposes a new, evidence-based way to break the cycle of high blood glucose and increased insulin resistance. Drawing from the latest in medical research, he outlines the impact of diet and lifestyle in type 2 diabetes and offers simple, easy-to-follow advice for preventing and reversing its course, complete with helpful charts and illustrations. Dr. Fung is a clinician that has real-world experience and an uncanny talent for cutting through the BS. He “tells it like it is” in an entertaining way that makes it easy for non-scientific minded laymen to really grasp an understanding. This book is perfect for sharing and provides an excellent introduction to the LCHF/Ketogenic lifestyle. If you haven’t read my previous posts on this topic here, and here, and here , and here, and here, and here, and here, then let it be known that when I was diagnosed with type 2 diabetes 7 years ago I was 270 Lbs., blood sugars were in the high teens, and blood pressure was in the 140 over 90 range. I felt like crap! In January of 2017 I was testing blood sugars of 16.0 to 18.0 while taking 4-5 Metformin and a Gliclazide daily. We were talking about starting on Insulin injections. What else have I found in addition to getting these great results in my official lab blood tests? Well there is this website , Confronting The Confusing World Of Nutrition, another WordPress blog site where I have found just about every book ever written about my current lifestyle choices. This has become my go-to site for all things diet and health in terms of finding resources and information. The other book I like is : Principia Ketogenica: Low Carbohydrate And Ketogenic Diets – Compendium Of Science Literature On The Benefits by A Simmonds. This book contains 319 pages of important science and studies related to low-carb, high-fat diets, with hundreds of research papers and scholarly journal articles from over the past century, summarized and fully referenced. Though available in hardcover, the e-book provides active links to pertinent studies and abstracts. There are no recipes, testimonials, or popular articles. This book is current up to 2014, perhaps the greatest collection of relevant nutrition science available to date. The Principia is available as a Kindle eBook for a couple of bucks and truly worth the price. So, to the “Medical Establishment” and “Professional” Nutritionists everywhere … Fool me once, shame on you, fool me twice shame on me. I tried writing in silence and posting plain text with no sound and no images, “Just the facts, ma’am” … and I don’t enjoy writing in silence and I do enjoy trying to pass on the mood to my readers, or at least to offer the opportunity to taste the mood … so I have decided to go back to sound and images as part of this effort … my blog, my rules. “… I was, even in those days, a fan of this “Richard Nixton” (the misspelling of his name was a smug convention). I didn’t actually like him, but in the words of a Czech friend, “he gives those liberals heart attacks,” and that seemed a good enough reason to support him. For those were the days when I was just discovering that a lad with my views is not called a “liberal,” but a “conservative” instead. (I’ve since moved on, to “reactionary.”) It was a question of mere labels, “truth in advertising” as it were. An old-fashioned “liberal” like my father to start, I was already in favour of liberty and small government, against totalitarianism and thus, gung-ho on Vietnam. I am reflecting on references in previous posts (here) regarding the “Chiaroscuro” of silence versus noise revealing the face of God. And also reflecting on references in previous posts (here) and (here) about the appropriateness of “labels” or metaphorical “figures” standing for icons in respective cultures, icons of evil, and icons of good, and the error of believing that the “label” is the “thing” … the good or the evil “actualized” in the label. Another post (here) ruminating on the use of metaphorical and mathematical labels to stand for personal opinions, or assertions of theory which we desire to be true, but which remain “unproven” or “not true” and the inherent error of confusing the label for the truth and the truth for the label, as if the truth becomes self evident (obviously) by virtue of the chosen label, and if one just “doesn’t get it” one must be self evidently lacking in some essential aspect. Something about the frequency with which we delude ourselves, how the best plans and ideas of mice and men “gang aft a’glay“, our innate ability to discern truth (what 21st century man identifies as “our BS detector”) seems to have gone wildly astray in the minute by minute noise and distraction of our 21st century society. We have lost our affinity for silence, that peace which man was originally born with and experienced daily, so many thousands of years ago. Man has lost the simplicity, the natural innocence, of childhood. That is why silence is so difficult for him. And man rejects silence even more because he wants to become God himself, and has done so for all time, since Adam first sought to “become god”. That is why Christ admonished us to “become as little children”. In silence man cannot be a false god, cannot pretend to “be” god, but can merely stand in a luminous face-to-face encounter with God. In “The Confessions”, Saint Augustine exposes his own experience with these beautiful lines: “Late have I loved Thee, O Beauty so ancient and so new; late have I loved Thee! For behold Thou wert within me, and I outside; and I sought Thee outside and in my unloveliness fell upon those lovely things that Thou hast made. Where are the dwelling places of solitude and silence? Where are those places where we escape the noise and distractions of modern life, the disruptions which continually prevent us from finding God? Only a fortunate few can find the solitude and silence of the sea, or of the desert, or the mountain hermitage. Where do we find this silence in our busy daily run? For joy … I find myself not so alone in my observations of the irrational illogicality of life on this tiny planet of mostly blue water. I give you a couple of tidbits worth visiting just in time to save us from giving way to despair and desperation. ” … “Bombogenesis” is my favorite word this week. It is meteorologist’s jargon for what is happening off America’s Eastern Seaboard. It was last popularized, if I recall aright, four years ago, when we had about twenty of them in the North Atlantic, within a January and February. These storms result from a form of collision between high and low-pressure cells. The air pressure suddenly drops, and sailors are in for quite a blow. A lot of snow is dumped along coasts. But it is not the end of the world; not yet. So, fasting, how are things going? I seem to be still stuck at some kind of plateau with my weight holding steady at approximately 230 pounds. As mentioned, that is a long way (on the good side of the scale) from 268 pounds but also a long way from my arbitrary weight target of 200 pounds. I am currently still using the weekends, Saturday, Sunday and Monday, as eating days and eating everything I like or want to eat, although I must admit that I just don’t feel like eating anything near as much as I once ate “normally”. I am probably eating about half the calories I was eating 7 months ago and not missing anything. I had intended to switch to total fast during the busy time of the week, on Tuesday, Wednesday, Thursday, and Friday until suppertime on Friday but I have been consistently NOT feeling like doing that when suppertime roles around. I could call this a failure of self discipline or I could just say “What the hey, that’s how things role right now”. I think I prefer “What the hey …”. Anyway, Joe’s Fasting Chronicles … (part 7?). I just recently (26th of July) had my 65 year old, 10,000 mile, warranty check up with my Doc in order to establish a health baseline going forward. I have been feeling great and as far as I could tell I was and am healthy but I wanted to get a full panel of lab tests to verify that the deep blood work substantiated how I was feeling. I arrived at the appointment expecting to have to do a hard sell on my “new” fasting lifestyle and the health benefits because generally speaking the medical profession, by and large, in Alberta, Canada tend to feel that they better stick to the guidelines currently established by the medical associations and by the teaching universities, and in a kind of “ME TOO” way, by the Provincial Department of Health. I was completely and pleasantly surprised to be told that not only was my Doc quite OK with my fasting regime but that he had been doing it himself for several months now and had lost 45 pounds, and was using the method to treat some of his diabetic patients for their Type II Diabetes. So instead of a difficult sales job we spent the better part of 45 minutes exchanging observations, and titles of articles and books and recipes and just generally having a good chinwag, and then spent about ten minutes taking my vitals and lining up a full panel of lab tests. Just the best doctor’s appointment I can ever remember having and no problems at all. So how did my tests turn out? First, blood sugars are now routinely testing and holding at 5.0 to 6.5 international. Dawn values are often in the 7’s but drop rapidly over the first two or three hours of the day. The conversion factor is 18 for those who want to see that in American units , eg. 7×18=126, at least that is how I think it converts, and I am told that that is normal. My lab results show Blood Insulin level as 40.8 pmo/L and the reference range is <120.0 pmo/L. That is excellent. Negative urine glucose, urine keytones +1 and the lab notes that as high but it is what I am targeting to be in moderate keytosis. Protein, nitrite, and leukocytes all negative, hemoglobin A1C was 6.3 (should be less than 7.0) and Glucose fasting 6.4 which is slightly high but consistent with what I have been getting for dawn values with my meter daily. So everything is looking very good and trending in the right direction. I have another appointment lined up in a few days to go over the results and get my Doc’s advice but I think we will be just agreeing that this is very good and I want to get come contacts regarding grass fed beef and where to get it around here. I am “officially” officially declaring my Type II diabetes “cured” for sure now. Resting blood pressure is around 110/60 these days and weight is 230 Lbs. (or about 100 Kg). I am in keytosis, testing using “Ketostix”, and I truly feel great. If you haven’t read my previous posts on this topic here, and here, and here , and here, and here, and here, and here, then let it be known that when I was diagnosed with type 2 diabetes 7 years ago I was 270 Lbs., blood sugars were in the high teens, and blood pressure was in the 140 over 90 range. I felt like crap! In January of this year I was testing blood sugars of 16.0 to 17.0 while taking 4 Metformin and a Gliclazide daily. We were talking about starting on Insulin injections. What else have I found in addition to getting these great results in my official lab blood tests? Well there is this website , Confronting The Confusing World Of Nutrition, another WordPress blog site where I have found just about every book ever written about my current lifestyle choices. This has become my go-to site for all things diet and health in terms of finding resources and information. I agree with this blogger, that I still feel that were you to choose only one, my personal favorite is The Obesity Code written by Canadian Nephrologist Dr. Jason Fung. As the proprietor of Intensive Dietary Management in Toronto, Dr. Fung is a clinician that has real-world experience and an uncanny talent for cutting through the BS. He “tells it like it is” in an entertaining way that makes it easy for non-scientific minded laymen to really grasp an understanding. This book is perfect for sharing and provides an excellent introduction to the LCHF/Ketogenic lifestyle. The other book I like is : Principia Ketogenica: Low Carbohydrate And Ketogenic Diets – Compendium Of Science Literature On The Benefits by A Simmonds. This book contains 319 pages of important science and studies related to low-carb, high-fat diets, with hundreds of research papers and scholarly journal articles from over the past century, summarized and fully referenced.